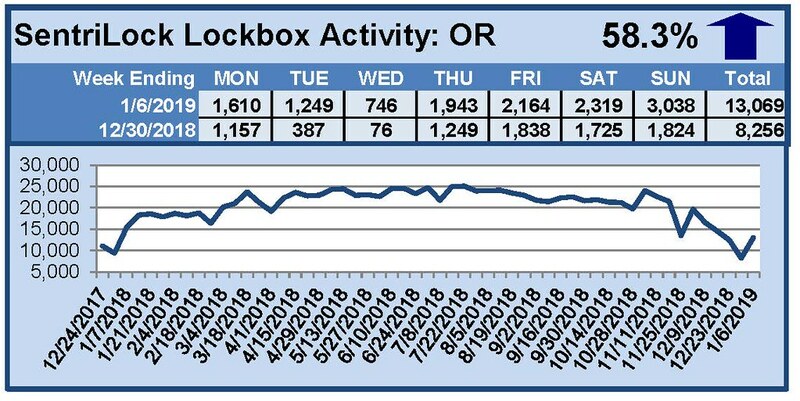 For the week of December 31, 2018 through January 6, 2019, these charts show the number of times RMLS™ subscribers opened SentriLock lockboxes in Oregon and Washington. Activity shot up in both Oregon and Washington this week. For a larger version of each chart, visit the RMLS™ photostream on Flickr.